SPEED Use your own compatible CDMA or unlocked CDM phone Nationwide with NET10. Use your own compatible CDMA or unlocked CDMA phone Nationwide with NET10. 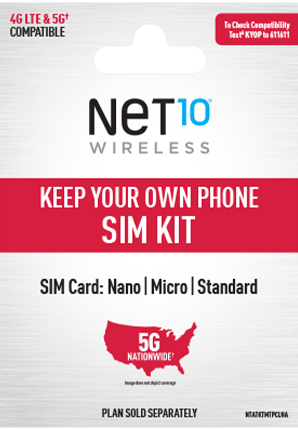 Purchase a Net10 Activation kit then add a Service Plan (if you don't already have one). Works with Most Compatible or Unlocked CDMA Phones.